A great, great grandmother has turned 100 surrounded by her friends and family at a Bupa care home. Elizabeth Kelly, who has lived in the Rosebank Unit of Bupa’s Kirknowe Care Home in Wishaw, Lanarkshire, since 2011, celebrated the milestone event with a party attended by staff, residents and her closest friends. But the main party guests were Elizabeth’s large family, including her three children, three grandchildren, three great grandchildren and her great, great grandchild. Elizabeth grew up in Motherwell, in a family of 10 children, before starting her working life in a local silk factory, before moving to Colville’s Steel Foundry during World War Two. She married her husband John in 1935 – and the couple had three children, two girls and a boy. Sadly, John died in 1984. When her youngest daughter was 11 Elizabeth returned to work, firstly in the Pickering’s work canteen and then as a cleaner at the offices in the former Ravenscraig steel works. Elizabeth said she attributes her family and a good old chat, to her long life. 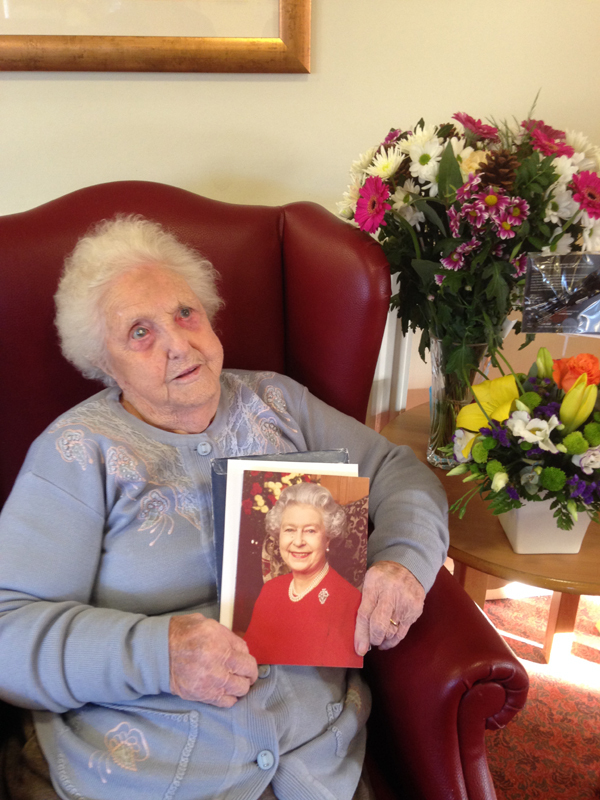 June Simm, activities coordinator at Bupa’s Kirknowe Care Home, said: “Elizabeth’s family visit her regularly. They are a huge part of her life and they are happy their mum is very settled at Kirknowe. “Elizabeth loves nothing more than a good old chat with other residents, staff and the hairdresser and is always making others laugh. She also loves listening to music. “We were delighted to be part of Elizabeth’s birthday celebrations. It’s great to see families benefit from our services and appreciate how we strive to change people’s lives for the better. “We all had a fabulous time at the party and Elizabeth thoroughly enjoyed herself.